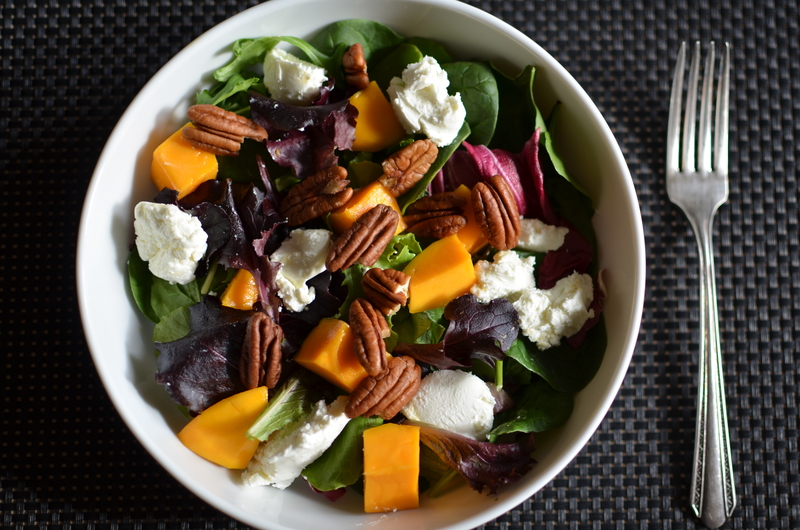 The beauty of a salad shines through when you assemble them on an individual serving plate. When you make salads in a big bowl, chances are the smaller bits will sink to the bottom. The visual appeal of food is just as important as taste and can easily enhance the dining experience. When creating your own salads, keep in mind the taste, colour and texture when combing ingredients. Arrange the ingredients on a plate in the order listed and toss with your favorite dressing. 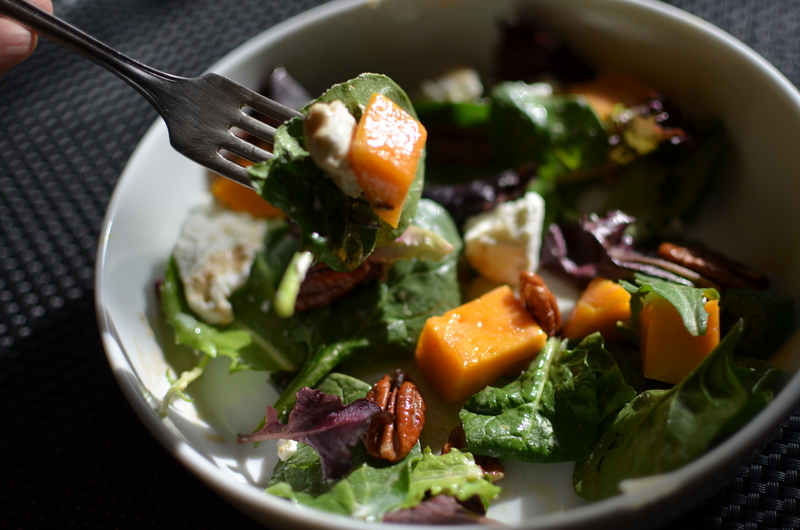 You are currently reading Mango and Pecan Salad at Coriander Kitchen.